Are you looking for homes in active adult communities in Chandler, Arizona? You have to come to the right place and you will find you have options in selecting an active adult community in Chandler Arizona to call home. Chandler is located in the Southeast Valley of the Phoenix area and is convenient to all major freeways including the I-10, the 101 and the 202. Chandler is located just a half hour from Sky Harbor International and Mesa Gateway Regional Airports. Chandler is home to over 250,000 people and the international known Price Road Corridor that provides an economic boost. 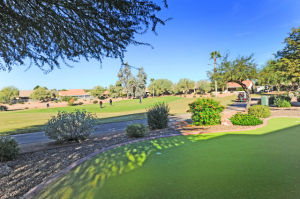 As a homeowner in an active adult community you can enjoy the resort style amenities in a great location and still be close to all of the shopping, museums, theater, hiking and biking trails, medical facilities and some of the best restaurants in Arizona. In Arizona an active adult community is also known as 55+ but many people think that all homeowners have to be 55 and older. In most active adult communities a percentage of the homeowners (often 20%) can be 40+. No children under the age of 19 may live permanently in the home. Active adult refers to the resort amenities offered such as golf courses, tennis and pickle ball courts, fitness centers, hiking and biking clubs, arts and theater, horseshoes, bunco and bridge clubs, dances and many other social activities. Active adult communities create the opportunity to meet people from all over the world and participate in activities with similar interest. Our community video below features three of the Chandler, Arizona active adult communities. Sun Lakes is a Robson community in an unincorporated area that borders and is often included in the city of Chandler. Solera is a Dell Webb community a few miles east of Sun Lakes and Sun Bird is a Robson community three miles east of Sun Lakes. Sun Lakes – the largest of the three communities has five separate communities, three of which are gated. Each community has its own amenities. There are just under 10,000 homes in Sun Lakes. You will find 99 holes of golf, tennis and pickle ball courts, fitness centers, walking paths and lakes, indoor racquetball courts and restaurants. Solera – is a Dell Webb gated community with 1,149 homes and resort amenities including fitness center, swimming pool, golf course, tennis and pickle ball courts, an outdoor pavilion and BBQ area and is set at the foothills of the San Tan Mountains. Sun Bird is a Robson community with single family homes and some manufactured homes. Sun Bird has 1,631 homes, a golf course, tennis courts, swimming pool, fitness center, restaurant and a 43,000 square foot recreation center. If you are ready to learn more about active adult communities in Chandler, Arizona give us a call. 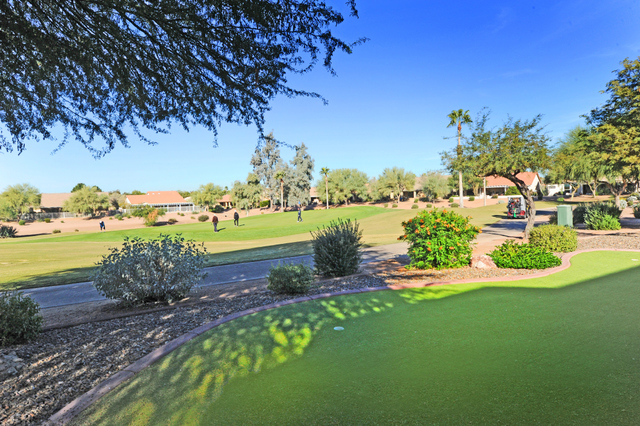 The Kolb Team specializes in active adult communities. Learn more by viewing our active adult community video below. Give us a call at 480-440-0849 or simply fill out the short form below and we will be happy to contact you!